So you're asking yourself, what's happening with this crazy author? Well, as I said, busy writing and keeping quiet for a number of reasons. However, there are three books coming out within weeks of each other that I can now talk openly about with you guys. For those who have been following me on my FB pages, you know what these are, but most likely missed out because of all the confusing feeds and absentee notifications that seem to be currently plaguing FB. Hold on, bear with me. 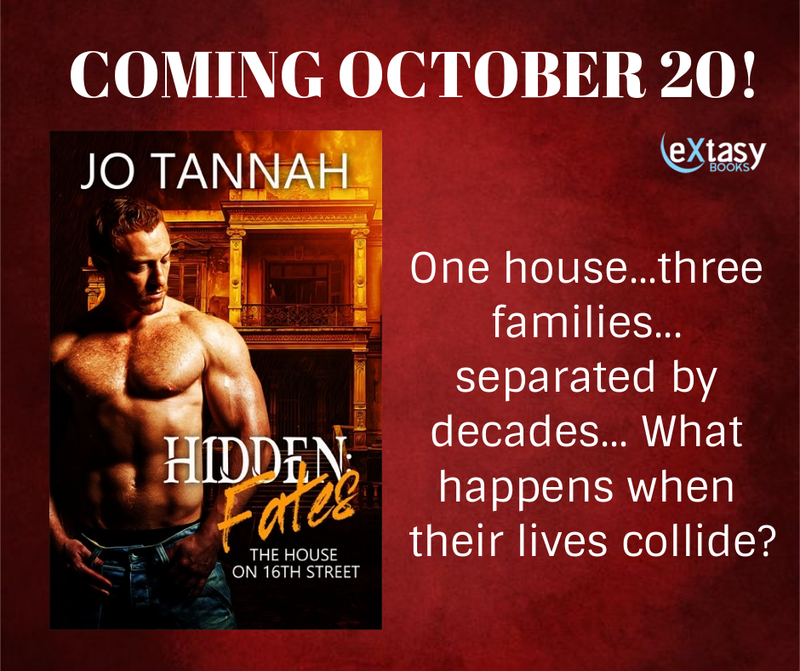 First, we have my third and final installment to the Hidden Series. This trilogy is made up of three different stories straight out of my journal. I wrote these with the Halloween Season in mind. Three paranormal stories, all based on local lore and urban legends. Next year, I will have a different set to release for the Halloween Season. I'm thinking of making this a seasonal thing, so I'm looking forward to penning more of these haunting, scary stories I grew up with. Jonathan and Rafe Wilkins-Campbell have just bought their dream home. They thought it was a place they could both settle and enjoy the good life. Strange things begin to happen during the renovation, inexplicable events that defy logical explanation. 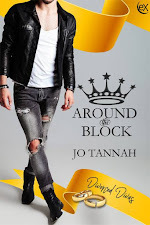 When things finally get back to normal, Jonathan and Rafe enjoy getting wrapped up in the chaos of settling into their new home. However, all is not what it seems and The House on 16th Street and its inhabitants have their own idea of how things should be. Jonathan and Rafe find themselves trapped within it, victims of the house’s every twisted need and they will need every fibre of courage and determination they possess to make it through. 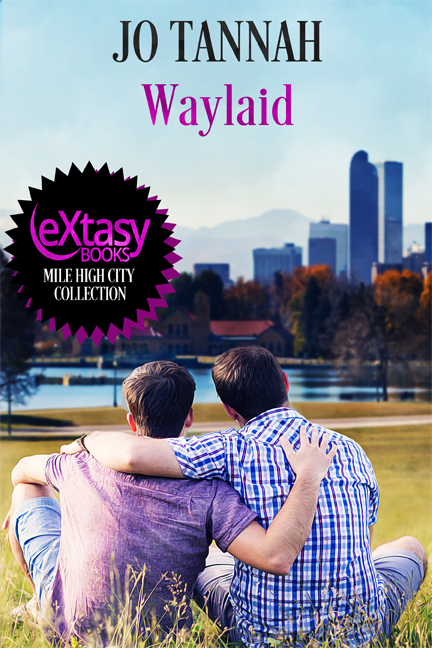 Second, is my short story, WAYLAID. I had written this one last year but never found the right medium to publish it with. Medium being what genre? What category? Part of an anthology? What? 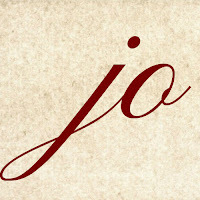 And then eXtasy Books connected and asked for a short story, may or may not be a start or part of a series, paranormal, ready for publication for the GRL in Denver...well, I submitted this and was accepted. The cover is generic because it has been categorized as a themed release, the story, however, is far from generic. The world is in chaos. From the gates of hell come the monsters and beasts that myths and legends are made of. Caught at the turning point of an alternate reality, two young men’s lives are irrevocably changed. And finally, we have Being Me Anthology. This one is close to my heart. So if you have the time to check it out, please do. It is for charity and will do a whole lot of good for the young men and women out there who are feeling insecure and uncertain of who or what they are simply because society makes them second-guess themselves. We've all been at that stage one time or another. Let's all share a helping hand and help one another. Preordering is now available on Amazon and Smashwords. At last - a book for everyone! 16 stories by 15 talented writers. 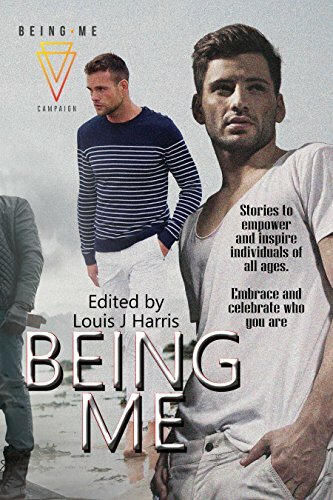 The Being Me Campaign Anthology will go live on the 1st November. Get it first by pre-order and support this amazing outreach program. 84% of young people and 80% of adults have or are suffering from bullying, discrimination or prejudice for simply being who they are. The Being Me Campaign is innovative in their approach to addressing these social issues; they are one of the only charities that does not focus on one specific area. As individuals, the Campaign is made up of many differences, and believe it’s important to have conversations together. We are all human; we all deserve the same respect, kindness and equality. As a charity, the Being Me Campaign has an open-door policy, so people from all backgrounds and differences may come together to learn about one another, because far more unites us than divides us. Is that it, you say? I've got several books lines up for release after these three and so far, I've stepped into 2018. This has been a good year for me. It's been prolific and the reception to most of my books have been mind-boggling. I'm constantly amazed by how many readers have come to enjoy my stories. I only hope I can keep up with the bunnies hopping in my head, be fast enough to type out the words and get them out there to be enjoyed. For now, until November, these three books are sure to keep you entertained. Some of them are sad, some of them are frustrating, some of them are a little scary. In the end, though, they were a joy to write and I'm just glad I was able to put them down. Have a Happy Halloween Season everyone. I'll see you soon, when the Christmas Season comes knocking. ...and yes. I have the books lined up for release. I'm just not telling when or what titles. Love you all! Keep safe! Have fun! Enjoy the reads. RIP Dear Irene. I'll Miss You.